The West Texas Intermediate (WTI) discount to Brent has narrowed 30 percent in 2013 to close at $13.95/Bbl on Friday March 22, 2013. At the same time Gulf Coast Light Louisiana Sweet (LLS) prices have moved unexpectedly to a $6.75/Bbl premium over Brent. Is the WTI discount to Brent finally unwinding? If so – then why are LLS prices trading above Brent? Today we update our analysis of the WTI/Brent spread. Here at RBN Energy we know many of our members are eager to hear about the latest developments in the Brent/WTI spread saga. [Follow the Brent/WTI spread daily via RBN’s Spotcheck - click here if you have trouble accessing.] However before we jump into the latest scoop we’ll return to basics for a minute to allow new fans of this popular soap opera to catch up – skip the next couple of paragraphs if you are already a Brent/WTI wonk. West Texas Intermediate (WTI) crude, the US domestic benchmark and Brent crude, the benchmark for Europe, Africa and the Middle East, are both light sweet crudes with similar refining qualities. WTI has a gravity of 39.6 API degrees and sulfur content of 0.24 percent. Brent has a gravity of 38.06 API degrees and sulfur content of 0.37 percent. That means the crudes are just about equal in quality, and therefore should be priced about the same if they are trading in the same geographic market. Historically that was the case, and WTI and Brent prices tracked closely, with WTI generally having a slight premium over Brent – until August 2010. Since then WTI has traded consistently at a discount to Brent that ballooned out to $27.68 /Bbl in October 2011 and averaged $17.50/Bbl during 2012. It is generally accepted that the large WTI discount to Brent came about in 2010 because the two crudes effectively no longer traded in the same geographic market. 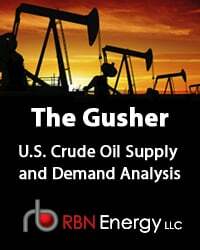 Growing supplies of new crude production from Canada and US domestic shale plays such as the Bakken field in North Dakota hit transportation constraints south of the Cushing, OK hub on their way to Gulf Coast markets and became landlocked. A lack of pipeline capacity to move those barrels out of Cushing to the Gulf Coast caused the markets for Brent and WTI to diverge. Prices at the Gulf Coast (and the US East and West Coast) followed the international Brent benchmark while WTI barrels traded at a discount because they were trapped inland in the oversupplied Midwest market. Although some new pipeline capacity to move crude from Cushing to the Gulf Coast has opened up in 2013 (Phase 2 of the Seaway pipeline) and crude is now flowing to the eastern Gulf Coast region from the Bakken by rail, the WTI discount to Brent remains high relative to its historic norm although it has declined by 30 percent so far this year. As noted above, on Friday March 22, 2013 WTI was trading at a $13.87/Bbl discount to WTI. In October of last year we introduced a new level of sophistication in our analysis of the WTI/Brent spread (see The Seven Gates of Hell for WTI Crude Traders). We argued that the spread is influenced by a heck of a lot more factors than just the pipeline capacity between Cushing and the Gulf Coast. In this March 2013 update we review recent changes to the many variables that impact the storied WTI/Brent spread. First lets catch up on what has happened to the spread since our last blog post on this topic (see Brent/WTI Reconciliation Dreams Shattered - Post Super Bowl Analysis). Back then (before the Super Bowl on February 1, 2013) the WTI discount to Brent was $18.99. Over the past 6 months the WTI discount to Brent peaked at about $25 in mid-November 2012 before falling to just over $15/Bbl in January 2013 in anticipation that the second phase of the Seaway pipeline reversal (increasing capacity from 150 Mb/d to 400 Mb/d between Cushing and Houston) would lead to a draw down in crude inventories at Cushing. Congestion at the Houston end of the Seaway pipeline reduced the anticipated flow of oil from Seaway 2 and the WTI discount widened out again to reach $23/Bbl on February 8, 2013. The chart below shows WTI (blue line) and Brent (green line) outright prices since the start of February as well as Light Louisiana Sweet (LLS red line) – the Gulf Coast benchmark crude. You can see that WTI and Brent prices both declined during February but that WTI rallied since March 8, 2013 while Brent declined – narrowing the spread between the two crudes (yellow arrows on the chart) to $13.95/Bbl on Friday, March 22, 2013. The WTI discount to Brent has narrowed by $5.85/Bbl or 30 percent since March 1, 2013. But at the same time the price of LLS – that stayed close to Brent throughout the whole WTI discount saga - is now trading at a premium to Brent (black circle on the chart). The LLS premium to Brent widened last week to close at $6.95/Bbl Friday (March 22, 2013). The WTI Discount to LLS has only narrowed by a few cents in March. Before LLS suddenly moved higher than Brent in the past two weeks, analysts generally believed that the WTI discount to LLS would narrow as and when the WTI discount to Brent did. In fact as the WTI discount to Brent narrowed this month the WTI discount to LLS hardly moved. LLS is therefore showing unexpected strength right now. 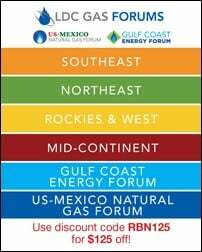 As new supplies of light sweet crude from US domestic production in the Bakken, Eagle Ford and Permian basin begin to arrive at the Gulf Coast, the WTI discount to LLS was expected to narrow because these new supplies would compete with LLS and push out higher priced light sweet crude imports. The fact that LLS prices have strengthened suggests that either the volume of new domestic crude attracted to the Gulf Coast is not yet sufficient to compete with LLS or that quality issues with the new light crudes are impacting their price versus LLS. It is true that larger volumes of Bakken crude heading to the East and West Coast by rail in 2013 may be reducing the competition against LLS at the Gulf – but the continued wide WTI discount to LLS would actually attract more crude to the Gulf Coast since Brent based prices on the East and West Coast will be lower as a result of Brent’s recent decline. 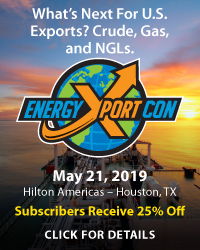 It is therefore possible that much discussed quality issues with the new light sweet crudes coming into the Gulf Coast are causing refiners to bid up LLS prices (see Turner Mason and the Goblet of Light and Heavy). In the meantime, two factors are underpinning recent strength in WTI prices. The first is a 6 percent fall in Cushing crude oil inventories to 49 MMBbl from their all time high above 51 MMBbl in early January 2013. This inventory decline may be because the Seaway expansion is slowly pulling crude south to Houston. However recent market speculation suggests that a major trading company is trucking large volumes of WTI crude from Cushing to a rail loading facility at Stroud, OK and shipping them by rail to Louisiana. That would further confirm our belief that plenty of domestic light sweet crude is making its way by rail to the Louisiana Gulf Coast. Another factor underpinning WTI prices is an impending change in the supply dynamics in the Permian Basin region where the NYMEX benchmark crude is produced. A few months back you couldn’t find any pipeline capacity to move WTI or its sister crude West Texas Sour (WTS) out of Midland, TX in the Permian Basin into Cushing. That caused the price discount for WTI at Midland, TX (the Permian Basin production region) versus WTI in Cushing, OK to balloon out to over $20/Bbl last December (2012) when Permian production exceeded pipeline capacity into Cushing. The WTI Midland discount fell back to $10 in January 2013 and has fallen ever since to reach zero in late February. The discount evaporated because operator Magellan Midstream began filling their new Longhorn pipeline from Crane, TX in the Permian Basin to Houston (the pipeline needs about 950 MBbl of “line fill”). 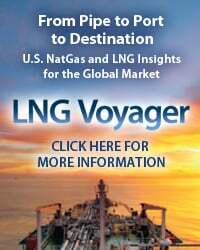 Longhorn is expected in service mid April – initially delivering 75 Mb/d of WTI and WTS crude. Throughput will increase to 225 Mb/d on Longhorn in 3Q 2013. The narrowing in the WTI Midland discount to WTI Cushing shows that need to transport crude to Cushing is declining – a trend that should continue once the Longhorn pipeline is in service. Weakness in Brent prices relative to WTI over the past two weeks can in part be pegged to Euro zone economic concerns related to the Cypriot banking crisis. 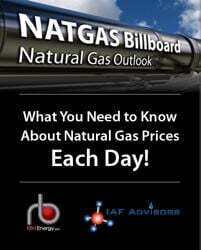 Economic concerns in Europe lower energy demand forecasts and put downward pressure on oil prices. There have also been hiccups lately in the supply of Forties stream crude into the Brent physical market (see Crazy Little Crude called Brent). 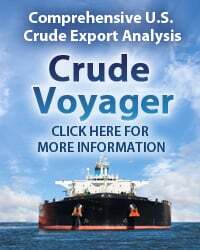 More cargoes of Forties crude are available for lifting than usual in April causing spot Brent prices to decline. US fundamentals do not influence these factors so it seems likely that Brent could regain some ground against WTI in the near future. Where does that leave the WTI/Brent spread as we move towards the end of March 2013? The long awaited reconciliation between Brent and WTI prices is still making slow progress rather than rapid strides. The recent strength in LLS prices suggests that the unwinding of the US inland discounts against coastal prices will certainly be a bumpy ride. Reduced inventory at Cushing is a positive sign for WTI prices as is the evaporation of large discounts for WTI at Midland, TX. Looking ahead, spread fans should pay careful attention to the Longhorn pipeline coming online in mid April. Also a State Department decision either way on the fate of the Keystone XL pipeline from Canada will likely cause market jitters. Hold on for a wild ride! 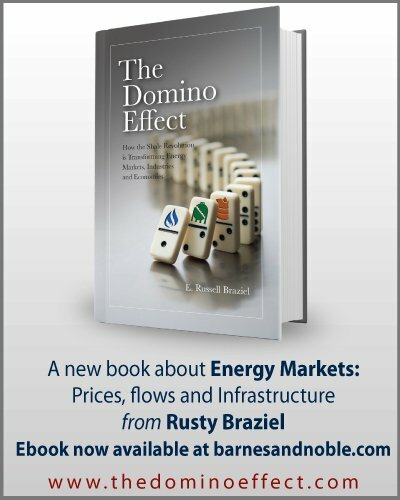 Each business day RBN Energy releases the Daily Energy Post covering some aspect of energy market dynamics. Receive the morning RBN Energy email by signing up for the RBN Energy Network. Another nice report, thank you. It will not surprise if "basis-risk of using Brent to hedge LLS-linked domestic bbls" is brought up in future earnings announcements. i also think LLS is being blended into the USG sour supply and backing out another layer of foreign oil. It’s Been Three Long Years, Do You Still Want Me? Can Brent and WTI Get Together Again? The New Adventures of Good Ole Boy Permian – WTI Back on Top of the Hill?